I have my gas and electricity supplied by E.ON Energy. I have never had any trouble with them and this is about the generality of stupidity, not about them. I got a new boiler installed in my Borehamwood home a few months ago via E.ON. They arranged it. It was actually installed by a sub-contractor based in Northampton. I then got a cold call a few weeks ago allegedly from E.ON Energy trying to pressure sell me into buying ‘free’ solar panels which – of course – I would have to pay for. I think it was actually from the sub-contractor. I could be wrong. Last week, on Friday morning in Edinburgh, I got a voice message on my mobile. It was from a lady Laura “calling from E.ON Energy” about my boiler replacement. She said E.ON Energy wanted me to send them an E.ON Energy utility bill to “update” their records. It seemed a bit odd that E.ON was asking me to send them a utility bill their own computer had sent me… so they could update information presumably on the E.ON Energy computer system. Despite assuming this was a scam, I phoned the number. A recorded message said I had to phone that number during their opening hours of 8.00am-4.00pm, Monday to Friday despite the fact I was phoning around 11.40am on a Friday. I presumed it was a scam, so filled in an online form to E.ON’s help people. It asked: Did I want to be replied-to by email or phone? So, when they phoned back this morning, of course, the first thing the E.ON Energy person wanted “for security reasons under the Data Protection Act” were details companies always tell you never to give out to people you don’t know who phone you. When we got round this eternal problem, the lovely lady told me she had phoned 0808 168 6424 and this was, indeed, part of E.ON Energy. She told me that the other department of E.ON Energy had “lost some of the paperwork they had” – apparently a bill issued by E.ON Energy to me – and so they need a replacement. “I have talked to them…” she started. Ah! I foolishly thought. She has sent a copy of one of my utility bills from her computer to their computer. But no, of course she had not. She had talked to the other department and given them my e-mail address so they can e-mail to tell me they are going to phone me and then they will phone me to ask me to send E.ON a copy of an energy bill which E.ON sent to me. Presumably any other company would have done the same. It is the stupidity of the world. I await the next phone call with interest. When I got woken up by the E.ON phone call this morning, it was at 11.55am. I was still fast asleep. My eight hour drive last night, back from Edinburgh to Borehamwood, was fine. I asked Lewis Schaffer if he remembered this gig. “I was decidedly ill-equipped to compere the old Late and Live show,” he told me, “let alone do a full spot. I didn’t understand the British attitude to America – which at the time was pure jealously – and I wasn’t good at the time. I just looked like I should be good. Also I was only adept at dealing with New York audiences and hadn’t worked with Brits. I’ve not been invited back to Late and Live. There seem to be comedy improvisation shows all over London at the moment. If comedy is the new rock ’n’ roll, then I guess improvisation is like the occasional fad for long guitar riffs. I have mentioned in a previous blog that, when I was a student (around the time Louis XIV was on the throne of France), I saw Keith Johnstone’s seminal weekly Theatre Machine in Hampstead. I have also blogged before about the comedy improvisation show Set List, when it was the sleeper comedy hit at this year’s Edinburgh Fringe. It started small but gathered extraordinary word-of-mouth, especially among performers and, despite venue and time changes which would have scuppered other Fringe shows, it very quickly had full houses and ‘Name’ comics lining up, desperate to perform and – just as important – to be seen to perform. It was a show with prestige among comedians. 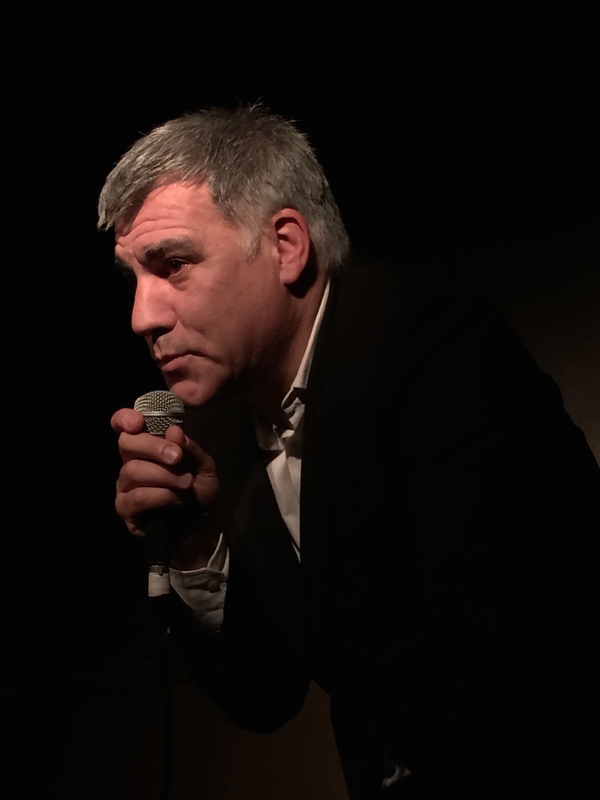 Last night, ending a run at the Soho Theatre in London, Set List had a packed audience, up for anything, full of anticipation at attending an ‘event’. You know you are onto a winner if your first-on-the-bill is the wonderful Rich Hall, your final act Andrew Maxwell has ploughed through Saturday night London traffic from a performance in Greenwich to take part in your show and, when a billed act drops out, you can get a last-minute stand-in of the calibre of Dave Gorman. Quite how this ‘hot ticket’ feeling happens is almost always beyond comprehension. Of course, it helps that the man behind Set List is Paul Provenza director of the cult comedy industry documentary The Aristocrats, (who flew over from Los Angeles to attend the last few shows) and that his man on British soil is the well-connected comic Matt Kirshen, but there is also very shrewd marketing going on. The sense of anticipation last night (in an audience who had overwhelmingly not seen Set List before) was built-up partly by its late start – there’s nothing like being stuck in an over-crowded entrance hallway filled with chatty Guardian readers for 20 minutes to build a sense of up-market expectation – but also by an on-stage screen which, as the room filled up, was flashing rave quotes about the show from publications and, surprisingly, one from the excellent rising comic Diane Spencer. There are currently bigger comedy names than Diane Spencer, but I suspect the Set List originators have rightly thought, “She is likely to become very successful,” and are getting into her good books early. Shrewd marketing. If the punters recognise her name, they give themselves a pat on the back for having their fingers on the pulse. If that is physically possible. All improvisation shows are, by their nature, a variable ride, but the (justified) self-aggrandisement of Set List works wonders. You are left in no doubt from the flyers, pre-show build-up and great sales technique of compere Matt Kirshen that you are attending an ‘event’ of some importance and that you are a superior punter for having chosen to be there. Of course, it also helps that, unlike most improvisation shows which have built-in safety-nets of pre-prepared arcs and relationships, Set List is genuinely improvised by the comics and often savagely exposes comedians who are falling back on their own old material or who cannot link the six bizarre topic titles they are given. If they perform six little separate routines based round the six given phrases, it does not work. They look like open-spot beginners. But, if they can knit the six unconnected Set List topics together with one or more ongoing subject threads, then they can soar – as Rich Hall did last night with Alaska, grisly bears and Sarah Palin working wonders for him. He triumphed, but I think the reason top comedians want to perform on Set List is really because it is creatively dangerous. The risk of falling off the comedy high-wire is greater because the performers are not in as much control as in a normal stand-up act and, as I have written before in this blog, I think comedians are a bunch of masochists with an urge to fail. I am sponsoring the Malcolm Hardee Awards until 2017. This year’s are presented on Friday 27th August. But, in the meantime, every day at the Fringe, there is the Aaaaaaaargh! Malcolm Hardee Documentary event. Nothing to do with me except I gave the director around 20 hours of audio tape recorded when Malcolm and I were writing his autobiography I Stole Freddie Mercury’s Birthday Cake. It was The Independent on Sunday‘s No 1 Fringe comedy favourite and The Scotsman‘s ‘Best of the Festival Pick of the Day’ but I hadn’t seen the whole hour-long event until yesterday. It is an event, rather than a film. Yesterday, it was introduced by comedian Bob Slayer. Future screenings will be introduced by the likes of Simon Munnery and Arthur Smith. The screening includes a 32-minute documentary The Tunnel (about Malcolm’s most notorious comedy club) followed by a trailer for the still-in-production docmentary Malcolm Hardee: All The Away From Over There… followed by about 16 minutes of clips from MH:ATWFOT. I am not involved in the production of this documentary but, holy shitteroonie, it looks like it could be a fittingly extraordinary tribute to the extraordinary and much-missed ‘godfather of British Alternative Comedy’ Malcolm Hardee.